Technology enhancements integrated into window treatments to conserve energy costs in residential homes and commercial buildings has advanced significantly in recent years. 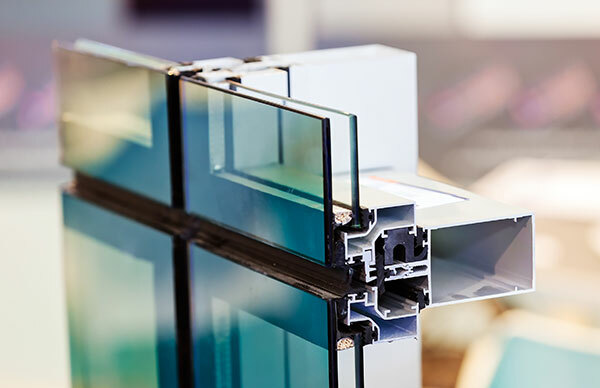 Window glazing materials that control light, alter ventilation, improve security and impact noise control are available from many suppliers. Soft Tech has embraced this worldwide building construction trend by augmenting our window and doors software solution to incorporate best practice functionality when designing and quoting for window glazing projects. Soft Tech understands that design innovation is an essential element for winning new business. Providing your designers with the most up to date toolset for designing glazed windows will not only motivate best practice within your organization but inspire designers to reach new heights. Soft Tech's window glazing software provides designers with a wide array of functionality to produce 3D visual designs, all rendered within the drawing window. Estimators providing quotations for window glazing are often challenged with a multitude of requirements from commercial builders. These include double and triple glazed windows that require varying acoustic insulation standards to be met for residential housing soundproofing, to ensuring levels of security in retail store shopfronts and maintaining energy efficiency levels in commercial buildings. With Soft Tech's highly dynamic estimation software, estimators can simplify the complexity of quoting on window glazing projects. Enjoy the benefits of viewing all extrusions, parts, pricing and quantities with point and click functionality. Our software solution guarantees there is no manufacturing errors resulting from incorrect data entry by humans. With one source of truth, Soft Tech enables your organization to eliminate reworking from different data being entered. Soft Tech also provides flexibility to your estimation team. With our intuitive software, no longer will your organization experience delays in generating quotations when estimators are absent or have competing priorities with multiple tenders being prepared. Our professional services team are on hand to train and support additional team members across your business to prepare quotations for windows and doors.